The Siren of Paris by David LeRoy. It is possible that someplace out there a book exists that deals with the point of view of a native French Nazi Collaborator; however I was not able to find one. I don’t think that is a mistake. The French have practiced a form of collective denial about their role in the occupation. At times they have been accused of focusing upon the resistance they gave the Nazis and marginalizing their collaboration. 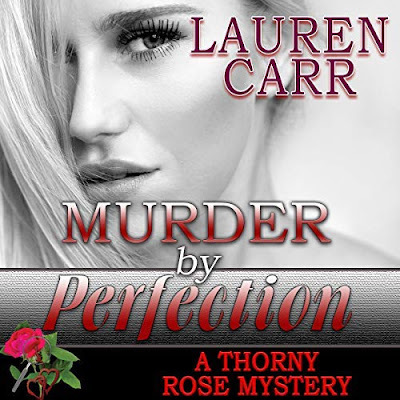 My problem was that in the middle of The Siren of Paris, I expose the reader to the secret world of collaboration and betrayal, but I had no model for what that really looked and felt like. What does a collaborator want? How does a collaborator view the French Resistance? Ultimately, how does it feel to have been a collaborator once France had been liberated? Answering these questions became the most difficult part of my research, and ultimately, as with all tragic figures, the answers did not always help me understand the choices of such individuals. One overarching common characteristic among the hard-core collaborators was that they harbored a personal vendetta against the previous government, known as The Third Republic. Many French found the Third Republic to be an embarrassment due to its notorious bureaucratic ineffectiveness and ineptitude. Once I started to look for this attitude, I saw it over and over again in the tone of various newspaper articles. This is how I discovered the story of the horse stampede of Orleans. A newspaper reported the disgust and anger of the local population of Orleans that the government had called for the gathering of horses for the army, yet never collected them, and they became a target for the German Luftwaffe on June 13th, 1940. Notice that the slant of the story is not how evil the German Luftwaffe was, but how tragic it was that the French government could not even organize and use the horses provided by their own population. A second common element of French collaborators was a hatred for the English. From their point of view, the British had pressed France to rush into this war with Germany, and when the tide turned, the British did not stand by the French, but evacuated to their island kingdom. The flip side of Dunkirk was the nagging sense of abandonment by the British in the hearts of the French. The Germans were well aware of this attitude and used it continuously in radio announcements, billboards, and newspaper headlines, portraying themselves as actually rescuing France from the British. The third element was the most important of all, and that is they were true believers. These people honestly did believe that Hitler was at war against communism. Many people believed in the conspiracy theories that the Jews were responsible for the fall of France and the corruption of European society. While based on misinformation and bigotry, this belief was widespread among ordinary people and exacerbated by Nazi propaganda. This true belief was the engine of motivation that drove these people to carry out the betrayal of their own country. They believed in a higher cause against an imaginary enemy, however misguided that cause might have been, more than they believed in their countrymen. To call such people cowards or traitors does nothing but demonize and separate them from the rest of us, providing the reader with the illusion that they are superior to these evil people. I decided to take another path in The Siren of Paris. Instead of portraying the main collaborator as a sociopathic lunatic, or a mean spirited authoritarian personality, I expose the reader to the life of this person before the fall of France, demonstrating that at one time they were just like everyone else, trying to survive and win the war. The character has a family, job, hopes and dreams for the future. The character arc then goes into the world of collaboration, which is motivated, at the core, by fear and victimhood. The end is tragic, as it was for most of the collaborators. Many were rounded up and sent to Drancy Prison, which had been a sub-station concentration camp used by the Germans. Over the course of four or five years, it is estimated that perhaps as many as 10,000 French were murdered or executed for collaboration, during the period known at the purge. One account I read was of a woman who went mad when her head was shaved in public, then disappeared and was found as a recluse 40 years later. Many of the women actually did not live very long, but instead were found floating in the Seine River due to unexplained murders. A few readers have objected to my portrayal of a collaborator as being a little too incredible to be true. How could a woman betray her own lover and take such an active role in the entrapment? The character is actually based upon a historical figure that I discovered through my research. In the book, I do not reveal her ultimate fate, however in life, she died in 1947. After the war, she took up the practice of sunning herself in the open window every single morning, until one day she was simply shot to death. I believe she completely knew the risk of such behavior, and perhaps even welcomed the bullet as the end of her abject shame, guilt and remorse for her role during the war. It was a tragic end to a life that likely had a lot of promise before June 14, 1940 when the Germans rolled into Paris. Be warned, my dear reader, lest you judge this Siren harshly, for we abhor that which often lurks within our own soul's shadow. I choose to base my character on this person not to continue her humiliation in death, but to serve as guide and teacher on the dark side of human nature, which dwells within us all. Author of The Siren of Paris. 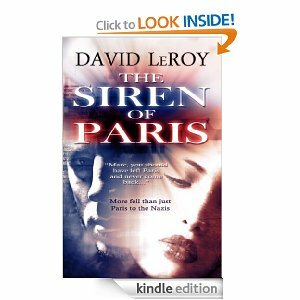 David Leroy did extensive research on the German occupation of France for his debut novel The Siren of Paris. This historical novel follows the journey of one American from medical student, to artist, to political prisoner at Buchenwald Concentration Camp during World War Two. Sounds like a fascinating book, from the author's comments and your review. Thank you for having me, and hope the interview provides interesting information for students doing researched for AP European History.